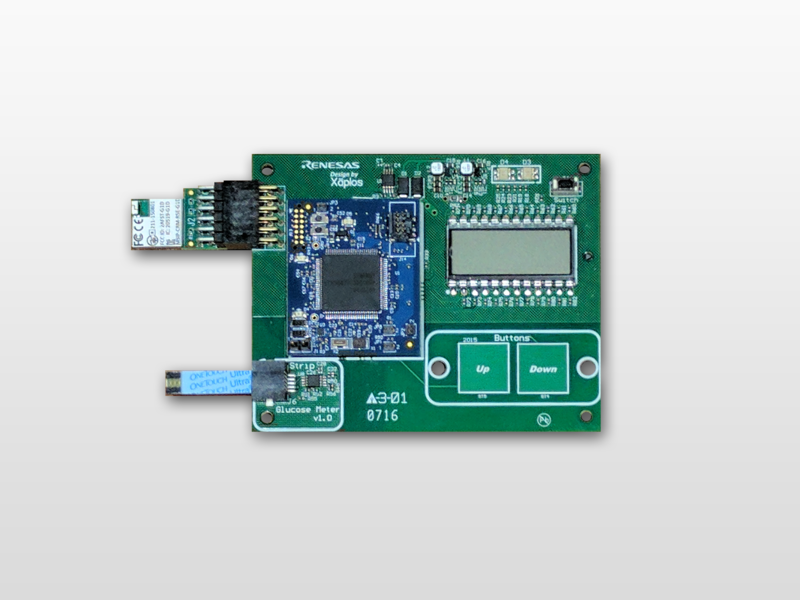 Healthcare Meters Kit are a proof of concept – Renesas developed the Healthcare Meters Kit as a proof of concept and for enabling customers to reduce their time to market. This Blood Glucose module uses an electrochemical strip technology to measure blood glucose, which is displayed on the LCD display and mobile app. Battery charging is done through a USB port, and touch buttons let you change settings.